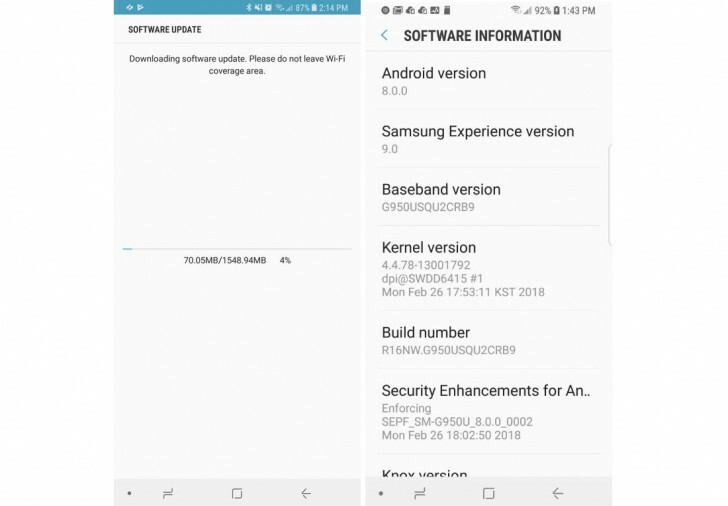 AT&T is the latest carrier to roll out the update to Android 8.0 Oreo to the Galaxy S8 units it's sold. It follows Sprint, Verizon, and T-Mobile. Currently the new software version is available through all of the Big Four US carriers, and it's rare to see all of them push out an Android update within days of one another. Right now reports are only mentioning the Galaxy S8 sold by AT&T receiving Oreo, but we assume the rollout for the S8+ is also underway - it's been outed at the same time by the other carriers, so there would be no reason for AT&T to delay it. If you own an S8 purchased from AT&T and haven't gotten the notification yet, you can manually check through Settings > System update. You'll be facing a 1.5GB download and after installing the new release your build number will be R16NW.G950USQU2CRB9. And what about the unloked versions 950U1 ? ?